Together with the Gilder Lehrman Center for the Study of Slavery, Resistance, and Abolition, and the Department of History, the Yale University Art Gallery celebrates the release of David W. Blight’s new biography, Frederick Douglass: Prophet of Freedom (Simon and Schuster, 2018). Join us for a stimulating conversation taking place in the Robert L. McNeil, Jr., Lecture Hall. Within the context of Frederick Douglass’s development as a thinker, activist, and political figure, Professor Blight, Class of 1954 Professor of American History and Director of the Gilder Lehrman Center, discusses his book with author Ta-Nehisi Coates. 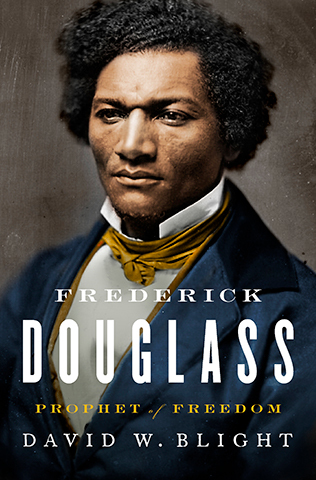 The conversation is followed by a book signing of Frederick Douglass: Prophet of Freedom, by David W. Blight. Books by both authors are on sale beginning at 4:30 pm, courtesy of Atticus Bookstore and Café.